I've thus returned from a fantastic wedding weekend and got to wrap up the two part series for Candis! This one was pretty straightforward, so there won't be a Photoshop Breakdown for this one, however you'll find the video for the previous one, BIRDS & BUTTERFLIES, at the end. 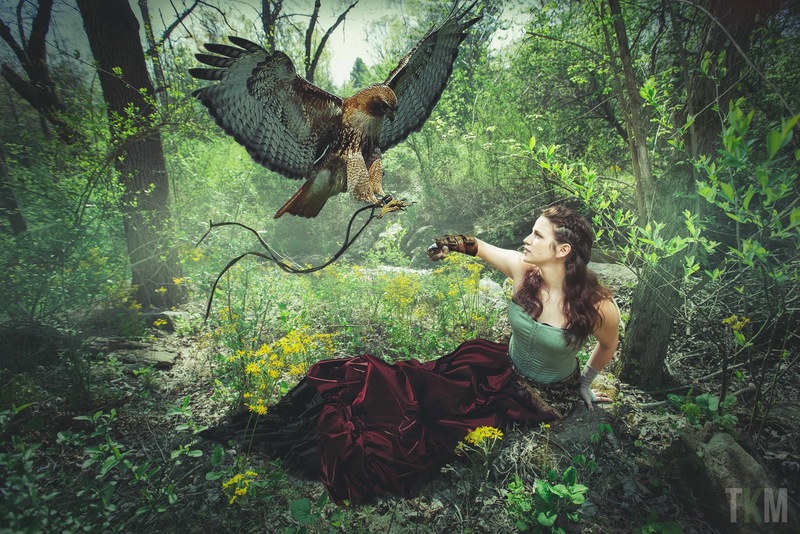 For those who are curious, I had the Mongolian eagle huntress in mind when I edited this one (even if Candis' companion is a hawk). Fantastic shots taken by Asher Svidensky — you should for sure look them up. Great pic! Thank you for sharing the video showing how to create a nice picture.